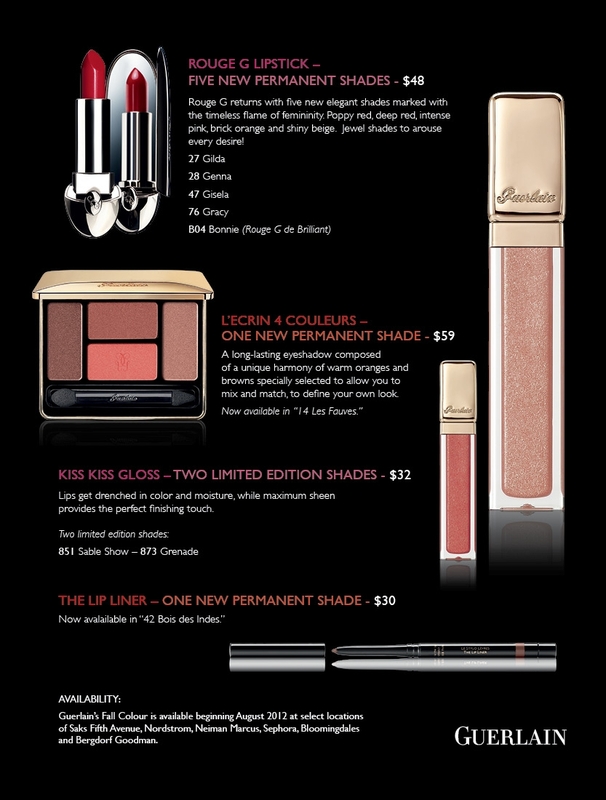 Yesterday, I got Guerlain's fall promotional information and had to share it with you! I won't explain the measures I had to take to post this - maybe later. For now, feast your eyes on this! I'm basically forced to simply copy in the PR info. I hope everyone, including Guerlain, will forgive me for the failure of creativity. As you know, I'm not lazy; I'm still without Internet. Don't forget you can click on these images to enlarge them. Rouge G returns with five new elegant shades marked with the timeless flame of femininity. Poppy red, deep red, intense pink, brick orange and shiny beige. Jewel shades to arouse every desire! The perfect smile starts with these key ingredients: radiance revealing Ruby Powder, light-reflecting liquid pearl particles, hyaluronic acid spheres, and Gugul resin fill out the smile; Vitamin A Palmitate, and Tiger Grass plump the lips; and mango butter ensures softness. 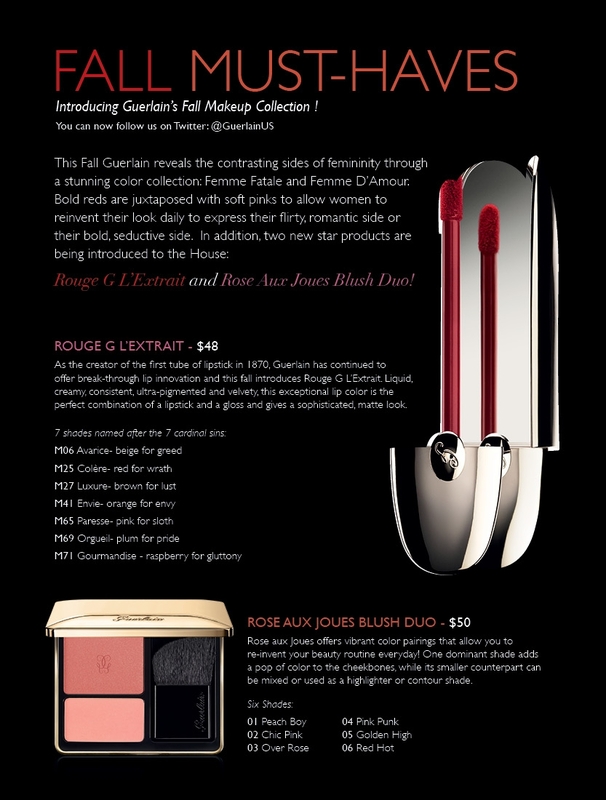 Guerlain’s Fall Color collection is available beginning August 2012 at select locations of Saks Fifth Avenue, Nordstrom, Neiman Marcus, Sephora, Bloomingdale's, and Bergdorf Goodman. PS: I would never, ever think of you as someone lazy!!!! !I think you are doing a marvelous job keeping up your blog in spite of those awful conditions! 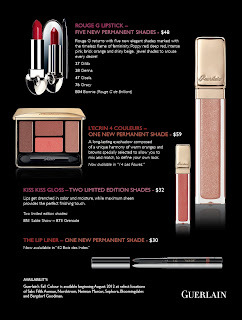 14 Les Fauves is the one I have my eye on...that and any one of the new blush duos--gorgeous! 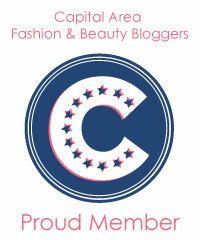 Thanks for continuing to update your lovely blog despite all the trouble. You really are a trooper CG, and all of your readers love you and appreciate it! Clarisse, the eye shadows look miffy, but I'll bet they are gorgeous on the skin. Thanks, Yesplease! I keep looking at that modem red light, dying that it's red. It is difficult for me to access color on a computer screen (Macs are better! ), but the beiges look perfection for me! I of recent am wearing the compact foundation (the one with the concealer) and it simply makes me glow! I am most certainly going to check these out! And the packaging, always wonderful! It is a joy just to look at it! Judith, all displays are different, agreed! Best to play in person next month! There is so much want in this post. Love those blush duo's I even have them as my desktop wallpaper right now at work *sigh* must be patient! 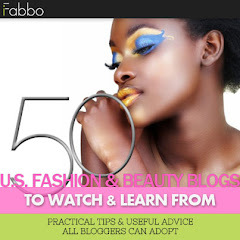 It is a copyright infringement to steal this post for your blog. Please do not violate federal law.